Abbotsford Community Services recognizes that in order to operate and deliver services, it needs to collect certain personal information on clients, employees, volunteers and donors. Abbotsford Community Services respects and upholds an individual’s right to privacy and to protection of his or her personal information. We are committed to ensuring compliance with applicable privacy legislation. Personal information is defined as "information about an identifiable individual," and is not restricted to recorded information. It includes any factural or subjective information, in any form, about an "identifiable individual." Personal information does not include "contact information, defined as information enabling an individual to be contacted at his or her place of business including position, name or title, business telephone number, business address, business e-mail or fax number. The following principles will govern the collection, use and disclosure of personal information. Abbotsford Community Services is accountable for the personal information collected of client, employee, volunteer and donor. The Clinical Director has been appointed as privacy officer and is responsible to advise the Executive Director on the agency’s compliance with this policy. Abbotsford Community Services collects and uses information for the delivery of service, determining eligibility, statistical purposes, compliance with legislative and contractual requirements, employment purposes, issuing tax receipts and to keep donors informed. The only circumstances under which personal information may be disclosed to third parties is for the fulfillment of any purposes identified above or as required by law. If personal information is disclosed to third parties for the fulfilment of any purpose as identified above, the agency will ensure that consent and appropriate security undertakings, such as confidentiality clauses in contractual agreements are employed to protect the transfer and use of personal information. Abbotsford Community Services does not sell, trade or rent information to third parties. We collect only personal information required for the purposes identified above. 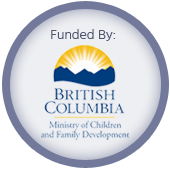 Abbotsford Community Services does not use or disclose personal information for any purpose other than those for which it was collected, except with consent or as required by law. Personal information is retained only as long as is necessary for the fulfilment of the purposes for which it was collected, or as required by law. Abbotsford Community Services will make all reasonable efforts to ensure that personal information is as accurate, complete, and current as required for the purposes for which it was collected. Abbotsford Community Services protects information with appropriate security safeguards. In the event that there is an involuntary breach of security (e.g. theft, loss, electronic breach), the agency will immediately inform client and all impacted parties of the loss. Furthermore, the agency will provide necessary support, debriefing and safety planning for the impacted individual. The agency’s privacy officer will be notified and all of these incidents will be reviewed. Individuals have the right to access their personal information under the control of the agency, except in certain exceptional situations. The Privacy Officer will assist with any access request. The Executive Director shall designate a Privacy Officer and subsequent replacements when necessary. For specific client procedures, please refer to the program practice policies and program procedural manuals.